In August 2018, Argentum surveyed senior living executives, including executive directors and other decision makers, regarding current business conditions in the industry and their outlook for 2019. 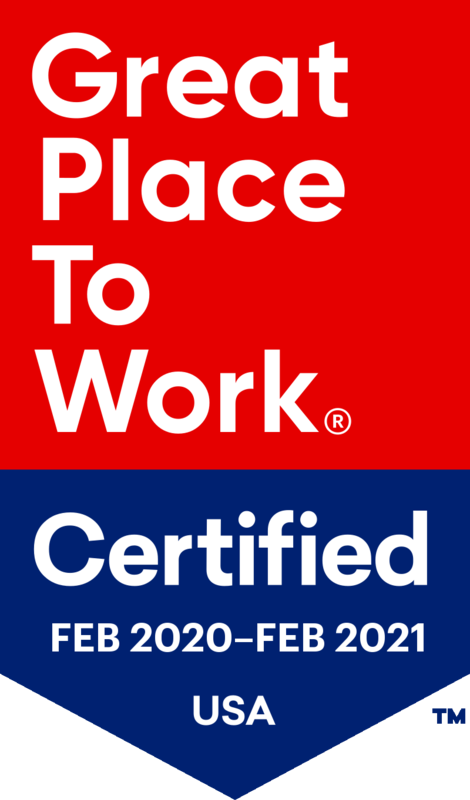 A total of 112 survey responses were received, and overall, respondents cited that workforce challenges will continue to be troublesome for the industry. According to survey respondents, workforce issues top the list of concerns for the senior living industry today. Eighty-six percent of respondents said recruiting and retaining employees is a significant challenge for their company, while 68 percent responded similarly about labor costs. Fewer than one in 20 respondents said these items pose little or no challenge for their company. 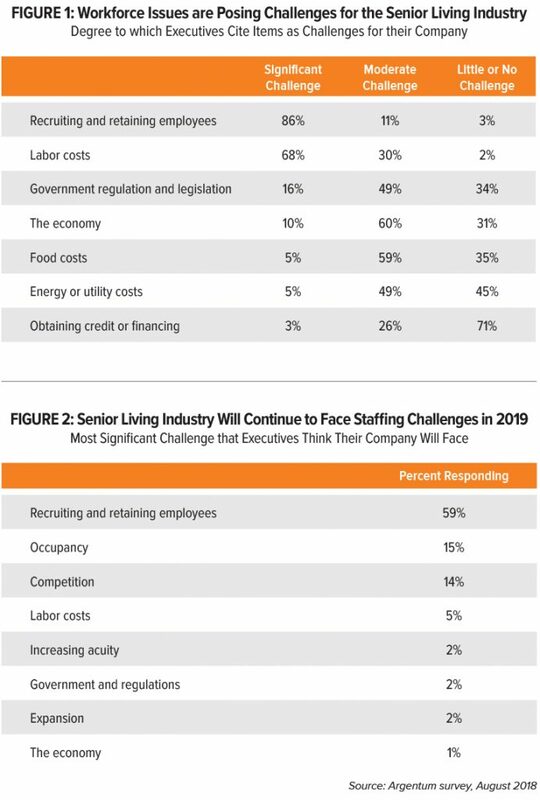 To a lesser extent, executives reported that food costs, the economy, and government regulation and legislation are posing challenges for their company (see Figure 1). Argentum’s survey revealed that staffing challenges will likely remain at the forefront in 2019. Recruiting and retaining employees was cited by nearly six in 10 respondents as the most significant challenge they expect their company to face in 2019. Fifteen percent of respondents said occupancy will be their number one challenge in 2019, while 14 percent responded similarly about competition (see Figure 2). Nearly nine in 10 respondents (89 percent) said they currently have job openings that are difficult to fill. Within this group, the biggest challenge is finding applicants for health care and food service positions. Eighty-nine percent of respondents with difficult-to-fill job openings report challenges finding health care employees, while 67 percent said they are having difficulties filling food service positions. Four in 10 respondents with difficult-to-fill job openings said they are having a difficult time filling administrative and cleaning/maintenance positions (see Figure 3). According to those surveyed, these unfilled job openings are having a negative impact on growth in the senior living industry. 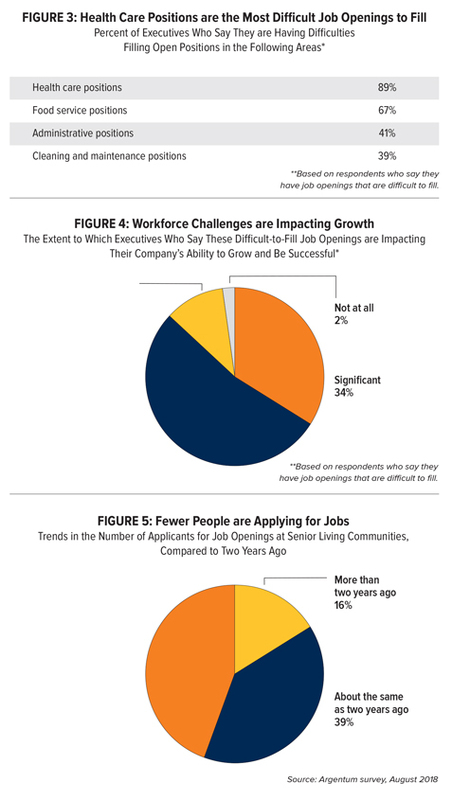 Nearly nine in 10 respondents said difficult-to-fill job openings are having a significant (34 percent) or moderate (53 percent) impact on their company’s ability to grow and be successful (see Figure 4). "There may have been a time when workforce was the responsibility of our HR departments. This survey demonstrates why operators are adopting new strategies for recruitment and retention as key to their organizational growth and success." Forty-four percent of respondents said they are getting fewer applicants for job openings than two years ago, while only 16 percent said there are more (see Figure 5). As a result of the shrinking pool of applicants, executives are reporting that job openings are remaining unfilled longer. Sixty-nine percent of survey respondents said it takes longer to fill job openings than it did two years ago, while only 4 percent said they are filling positions faster (see Figure 6). 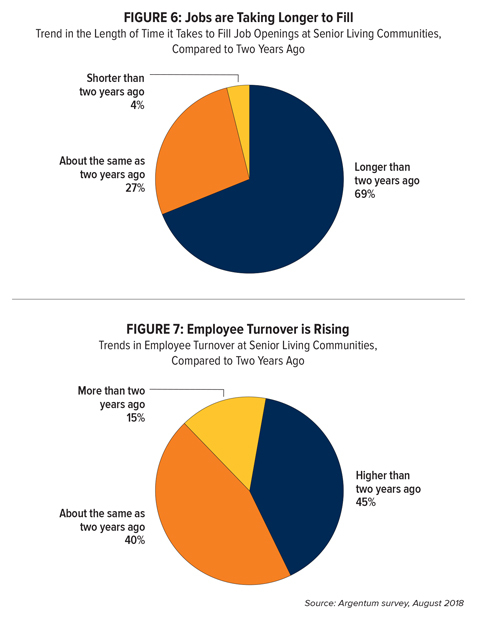 Employee turnover is also trending higher in the senior living industry (see Figure 7).